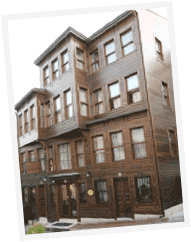 The hotel itself is an original house from Ottoman Empire, which has been respectfully converted for your comfort. 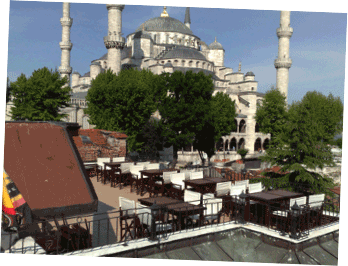 The panoramic view of the terrace is stunning as it is located only 100 meters away from the Blue Mosque and 300 meters from Hagia Sophia. We have 17 rooms, traditional courtyard and roof terrace bar.